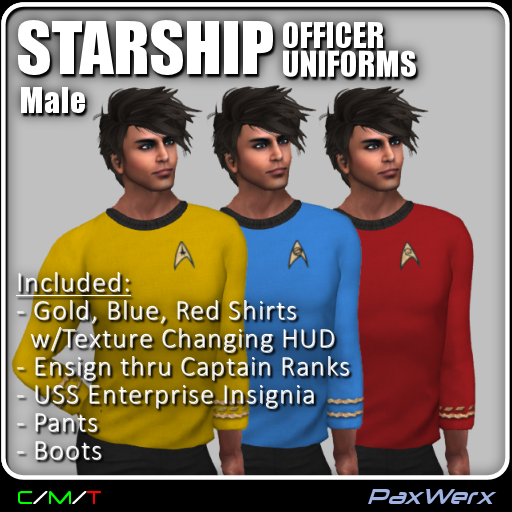 PaxWerx presents new TOS uniforms! The introductory TOS package is the Men's Officer Uniforms. You get all three division colors and insignia patches, with sleeve rank braids from ensign to captain. Pants and boots complete the ensemble. All for the low low price of 250L.